IMAGES: Supernatural 10x16 "Paint it Black"
Supernatural fans, we’ve got a new collection of images to share from the show’s upcoming March 23 installment. Find our “Paint it Black” gallery following these log lines from the CW for the episode. ROWENA MAKES PLANS TO RECLAIM HER MAGIC — Sam (Jared Padalecki) and Dean (Jensen Ackles) investigate a string of suicides committed by people with little in common other than the identical, grisly method of death — slow, self-administered disembowlment. All of the victims were members of a Catholic church and had recently given confession, leading the brothers to suspect the priest (guest star Stephen Daniel Curtis) is somehow involved. Meanwhile, when Crowley (Mark Sheppard) captures Olivette (guest star Teryl Rothery), the leader of the Grand Coven, Rowena (guest star Ruth Connell) pleads her case to be allowed to practice magic freely again. Oh.. there goes the possibility of Dean going nuclear before season finale. It seems like they will in fact remove the mark before season 11. If that´s so I strongly hope that Dean will have some kind of effect from it all. Not like they always do, wave it of and he´s fine. This is on the other hand a excellent story and they can/could do so much more with it. Many fans – myself included- have wrote that this have not been a Deanmon year, more like minutes of Deanmon or small glances of it. And that is really disappointing.Jensen have so far shown us a darker version of Dean in awesome ways and have more to show, but the show don´t let him. We have had some minutes or a scene where he hits someone or acts on pure anger, but that´s it. Therefore I hope, I wish for this to go on in season 11 and not be over before the season finale. 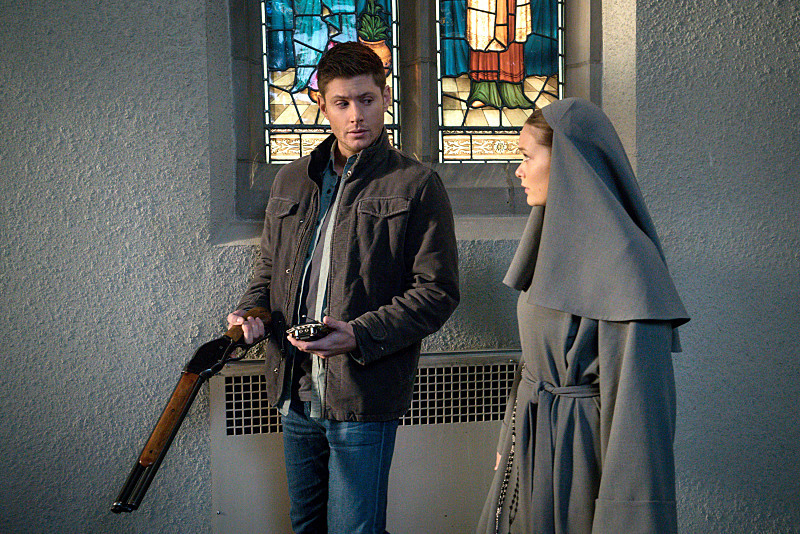 Also, after all that happened with Cain.. there have to be some change in Dean in the following eps. Cain and Sam said it “you can´t enter the fight and come back the same”So come on SPN, give us the Deanmon year these last eps or at least in season 11!! !